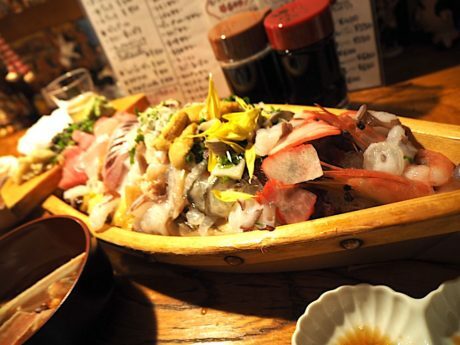 If you want to eat real Funamori, you won’t miss this Izakaya in Susukino! I tried Funamori, Sashimi served on a ship-shaped plate. 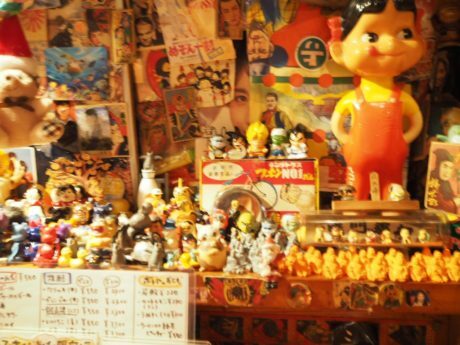 Millions of dolls and figures say hello to you! Boiled shrimp, crab legs, and salted cuttlefish for appetizers. These are part of the service charge. 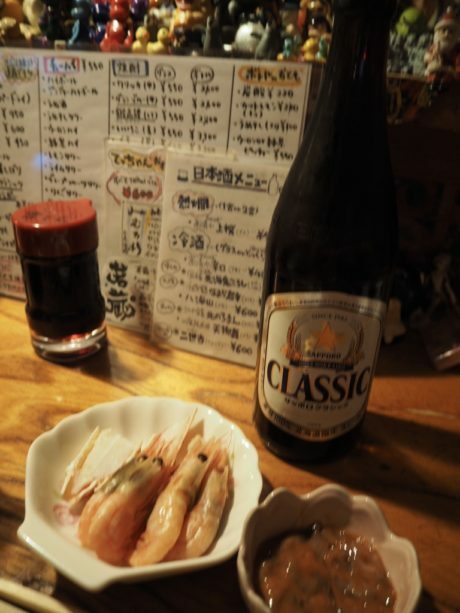 And of course, Sapporo Classic, the most popular local beer in Hokkaido. About 10 minutes later, the main dish has come! I ordered Funamori when I made a reservation in advance. This Funamori is for two people, and the length of this ship is about 35cm.